There are a plethora of websites for stock photos in a wide range of categories. 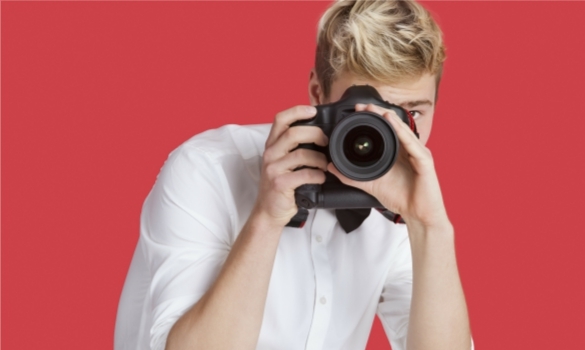 It can be overwhelming for a small-business owner trying to find the best stock photos. If you’re looking for stock photos to use on your small business’ website to improve sales or social recruiting, you may need some help in narrowing down the field. This article will offer some tips to make the task of choosing the best stock photos for your small business’ website seem less daunting. With the astonishing number of stock photo sites on the web, it makes sense to make the most cost effective choice for your business. You will be able to save money and narrow your choices down by deciding to use a free stock photo website. There are many sites out there that provide quality, copyright free images at no cost to you, the small business owner. Your personal finances and the finances of your business will be better off choosing one of the numerous free stock photo websites. Just to make your search a bit easier, there are some free stock photo websites that you should look to first. Startup Stock Photos is perfect for tech startups and tech entrepreneurs, as they provide technology images that can be extremely useful. Pexels is another website to find free stock photos for business purposes, as well as StockSnap.io. If you are looking to find free images or free photos online, take a look at these three websites. Keep in mind what the specific needs of your small business are when searching for photos for your brochures design or another, similar project. Your business’ website will look and perform best if the images you are using are representative of your business. The site will also do best when the photos you’re searching for and ultimately using are representative of the services your business provides. For example, a child care franchise could easily find a stock photo of a happy child. But it would be more effective to search for picture of a child playing with others, building blocks or drawing pictures. This more specific stock photo will show the child doing activities that promote your business’s services. Once you have narrowed your focus to the services of your small business, you will be on your way to the best site possible for you and your customers. Stock photos are applicable to many different businesses by nature. Part of the reason they are so popular as marketing tools is because they are relevant to various situations and content. For the same reason, they are sometimes overused and trite. When you use stock photos, take your time finding one that fits your situation. A new company will benefit from putting effort into choosing a stock photo. Don’t just pick the first image that pops up on the screen, or you could risk blending in with the dozens of other business owners who did the same thing. As strange as it may sound, pick a stock photo that is at least a little less common. Focus on how supplements your text and enhances your viewer’s experience. Try using different keywords when searching for stock photos to vary your results. This will allow you to utilize more unique images when choosing an effective stock photo. With the enormous amount of stock photos available, you have many to choose from to use for your small business. Know what the best stock photos all have in common so that you can make sure the photos you include on your website contain those elements. Some specifics to consider may be lighting, focus and orientation. Do research on what photos consumers tend to gravitate towards. Moreover, you should pick the best stock photos for your particular market segment. Your photos will be more effective if you have a specific audience in mind when choosing them. Nowadays, consumers typically give an article or an image a quick glance before clicking or moving on. Stock photos are an inexpensive, quick way to market to a large audience — essentially guerilla marketing for the internet. Once you know what common elements the best stock photos share, you will be able to pick the photos that your specific client base will like best. Then, you can push the photo out to your target audience in an efficient manner. Now that you have seen the endless possibilities for stock images on the web you may find more than you need. Having too much of a good thing is the best problem to have. This affords you the ability to change out photos on your small business’ website. Changing the stock images used on your website keeps things looking their best. While visiting your website to change the stock photos you may have the added benefit of seeing errors you may have missed before. Using new photos may also entice customers visiting the page to click around a little further than they normally would. It’s always good to keep things fresh and consistently using new stock photos on your website will do just that. The best small business websites use the best stock photos. Any publicist would tell you this. In order to find the best stock photos for use on your small business’ website, keep in mind these helpful tips. Always use a free website to keep business costs at a minimum. When browsing these websites remember the purpose of your business and the common characteristics of the best stock photos. Updating the images used on your website will keep your website looking the best it can, so make sure to change out the pictures every once in awhile. Use these tips as a guide and you will be able to find the best stock photos for use on your small business’ website.